Selección 2014, Gold medal and 93 points, Gilbert&Gaillard. 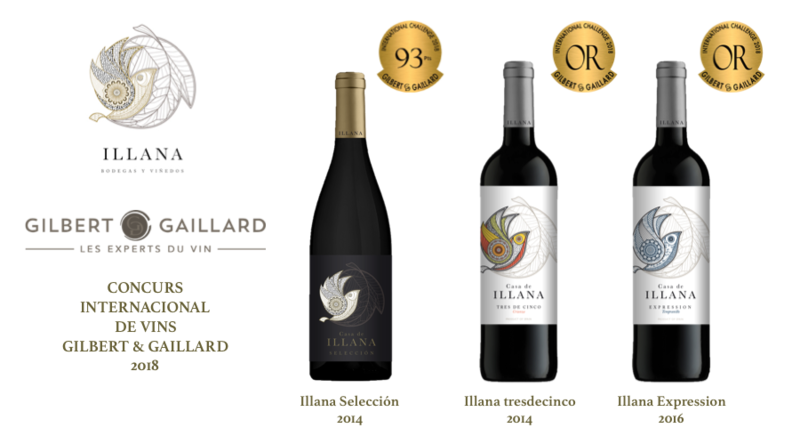 Gold medal for Casa de Illana Expression Tempranillo 2016, Gold medal for Casa de Illana tresdecinco 2014, and Gold medal and 93 points for Casa de Illana Selección 2014. Gilbert & Gaillard highlights Casa de Illana Selección 2014 as “A superlative wine combining finesse, complexity and remarkable winemaking.”. In addition, the guide points out that Casa de Illana Expression Tempranillo 2016 and tresdecinco 2014 are “wines of extremely high standard, which we enjoyed for its typicity and character.”. The Gilbert & Gaillard Multimedia group is of French origin and has over 25 years experience in the field of divulgence and qualification of wine; year after year, organizing tastings around the world.